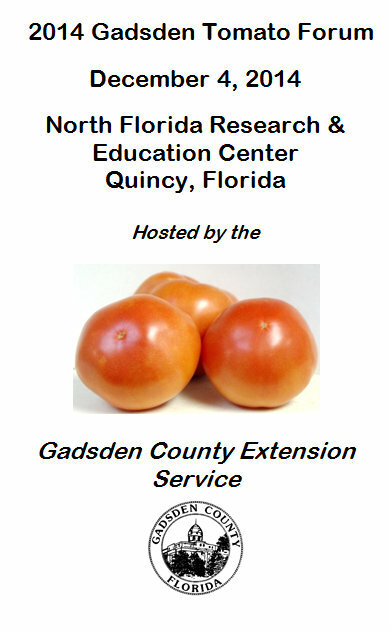 The Tomato Forum is coming up soon. Last week’s question was about identifying seeds left by the hundreds around grain bins by birds. We were trying to identify them. They are Black Tupelo aka Black gum (Nyssa sylvatica) pits or seeds. Good honey is made from the blooms, as well as the birds feed on the fruit and carry it and spread the pits everywhere. This week’s question is about this nut. Dr. Lenny Wells, UGA Scientist, gives us a harvest update. “Early estimates placed the 2014 Georgia Pecan crop at 80-90 million lbs. 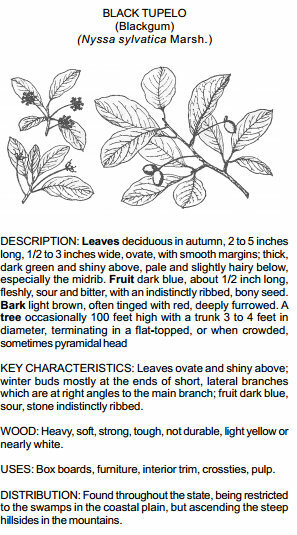 But, as pecan producers have been gathering their crop, it has been obvious that the lbs making it into the wagons are not what they appeared to be on the tree. Current estimates have fallen to 70 million lbs or less. 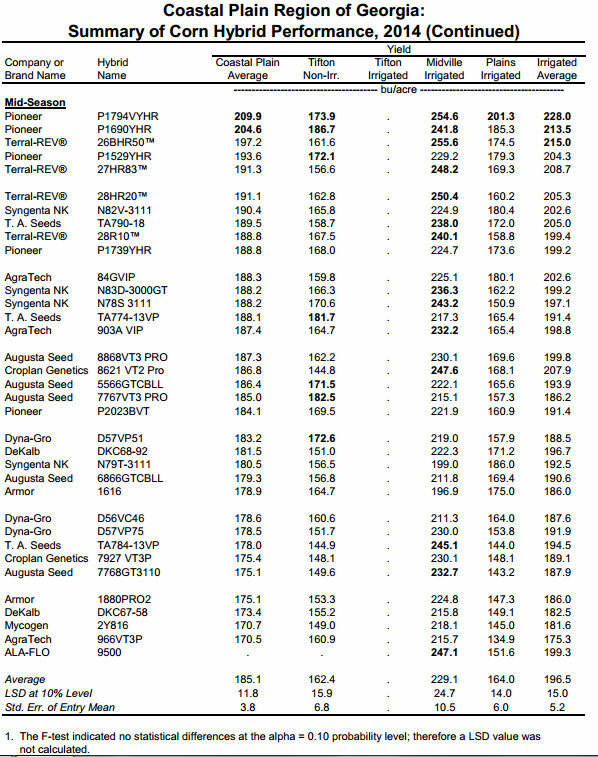 The rain we’re experiencing this week provides an opportunity to slow down a bit and take a look at some data to help explain the issues we see with this year’s crop. Nut size is obviously off and I won’t go as deeply into that issue since I covered nut size in my last post but nut size does play an obvious role in the reduced weight being accumulated. 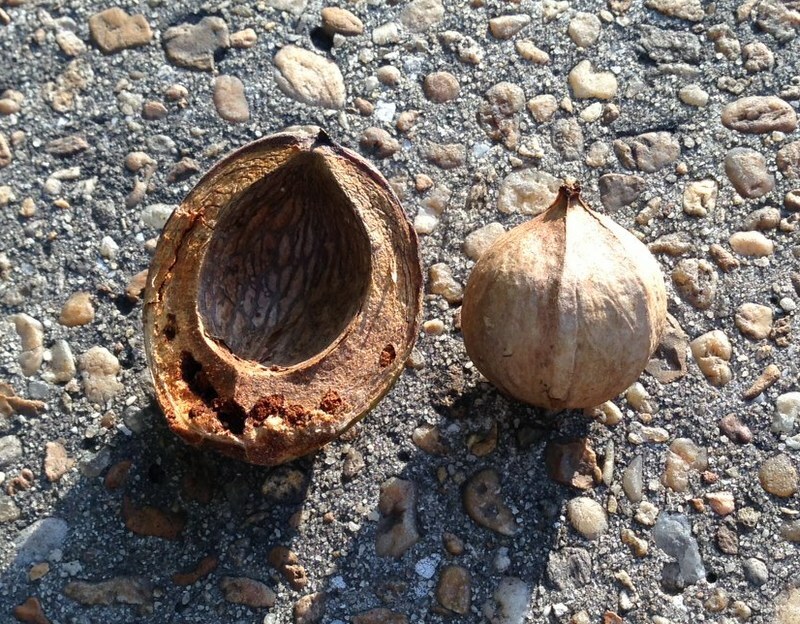 All the reasons I mentioned before— cool temps during nut sizing, drought, and lack of sunlight—played a part in the smaller nut size; however, pollination is also an important factor to consider whenever pecan quality is affected. In addition to small nut size, we see a significant percentage of “pops” or nuts that failed to develop kernel in this crop, which is almost a sure sign of poor pollination. 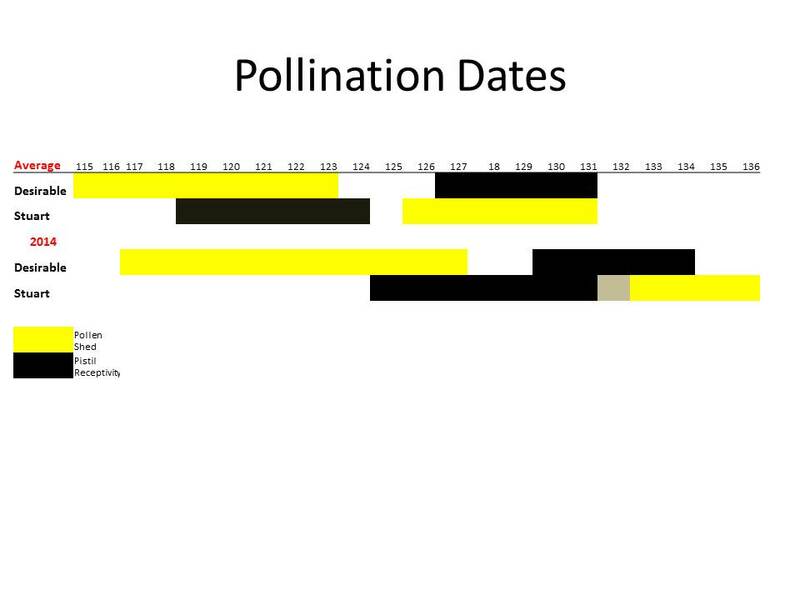 So, lets look at pollination conditions during spring of 2014. The first thing to consider here is that the crop was abnormally late. This dates back to the late bud-break we saw in the spring, a result of cool spring temperatures. Darrell Spark’s model shows that March temperatures have a strong influence on the date of budbreak, while April temperatures influence the rate of shoot growth and flower development. From 1912-2003, maximum temperatures in Tifton during March and April average 69 and 77 degrees F respectively. For 2014, these temperatures were 65.7 and 74.7. 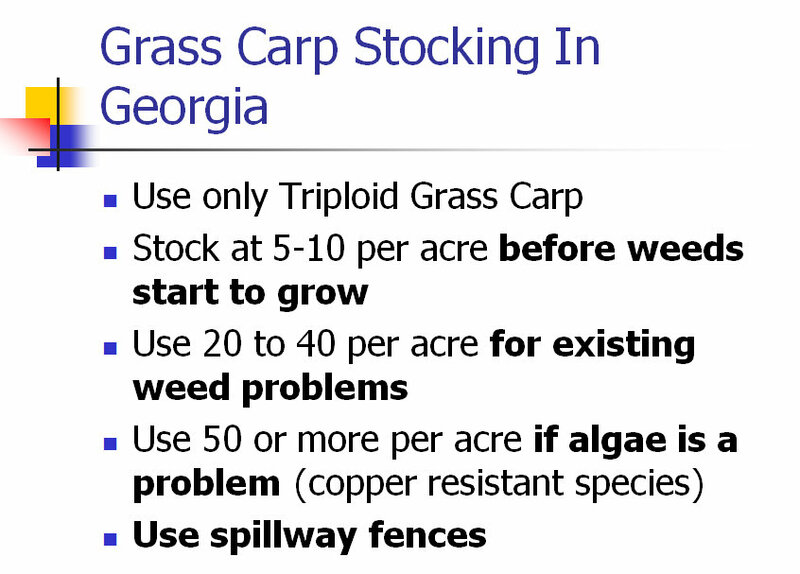 This may not seem like much, but 3 degrees can make a big difference to a plant. By comparison, maximum March and April temperatures for 2012, a year with early crop maturity were 77 and 79 degrees, respectively. 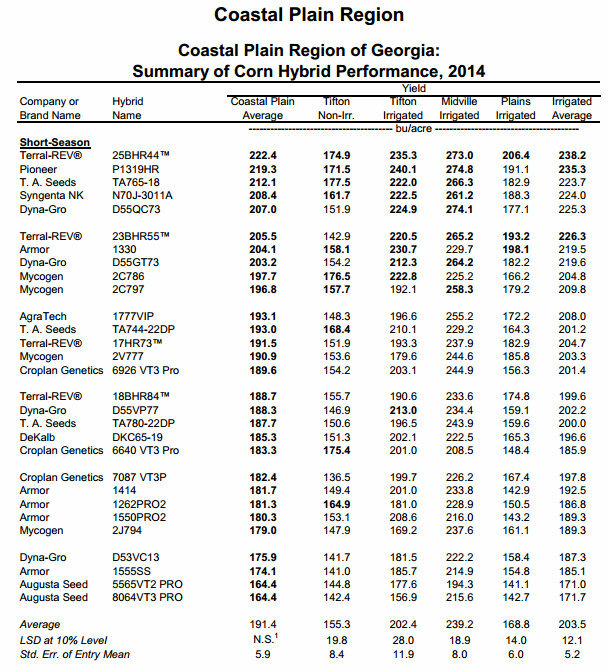 In addition, spring 2014 was wet in South Georgia. Average April rainfall for Tifton is 3.81″ from 1912-2003. We had 8.72″ in April 2014. Such cool, wet conditions are a perfect recipe for poor pollination. 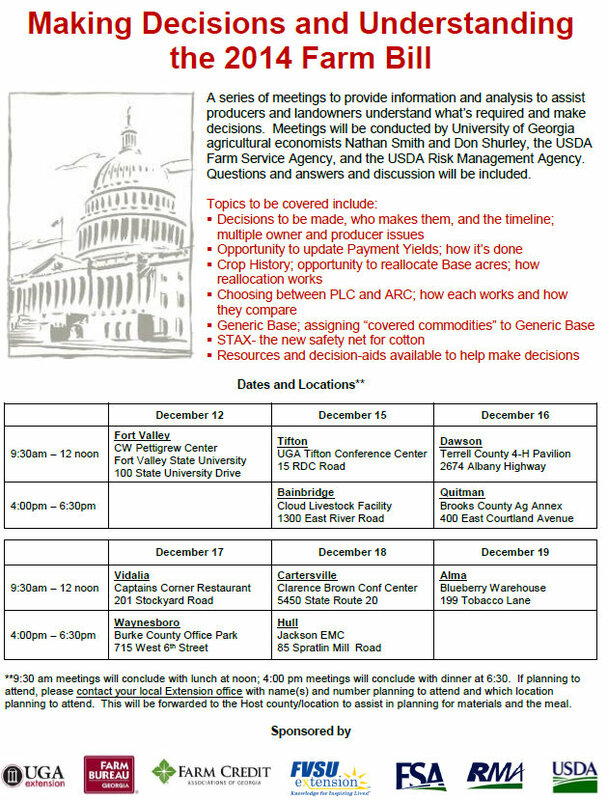 UGA Extension, in cooperation with USDA-FSA and USDA-RMA, will conduct a series of 10 regional farm bill education meetings. These meetings will be held December 12-19. A flyer with information promoting these meetings is below. Our closest one will be in Bainbridge on Dec 15 from 4 to 6:30 pm. Please call us to register for this meeting. 229-524-2326 Seminole or 229-248-3033 Decatur. The purpose of these meetings is to provide information and analysis that will help owners and producers make decisions. The focus will be on understanding the decisions to be made and decision-making. Attendees are asked to contact their local Extension office if they plan to attend. Here’s a couple of summary yield pages from it. Many folks are very Thankful this week for many reasons. One of them is that we are getting close to being through with harvest. Several folks are done with cotton and ultra late soybean harvest. More are almost through. Judson Hornsby and his daughter Allee of Double H Farms are thankful and proud to stand by one of the last round modules the farm will pack this year. Judson says they got all the irrigated cotton picked and only have one dryland field left. 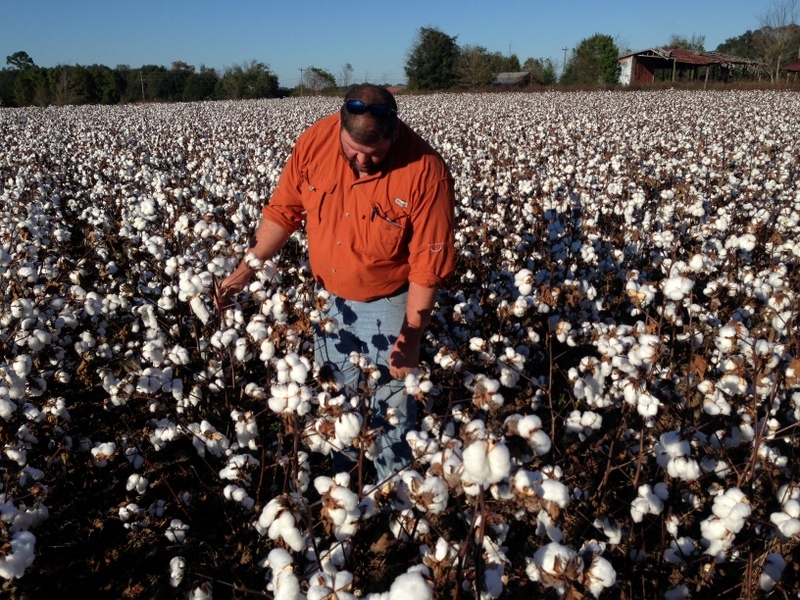 I talked to several growers that were finishing up picking cotton last week ahead of the rain. We have had good harvest weather this year and the gin yards are full of seed cotton waiting to be ginned. Here’s Miller County Agent Brock Ward as he and I were admiring some good cotton before the rains. Out, standing in the field? 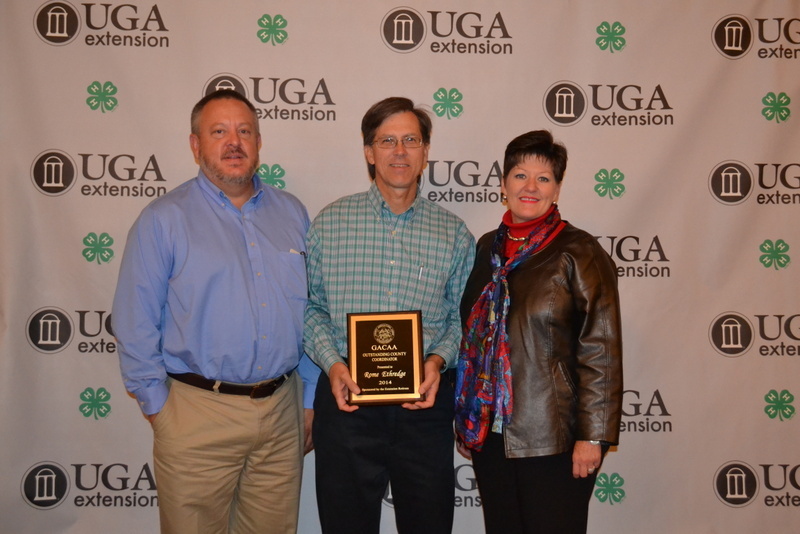 I was recently honored to be awarded the state “Outstanding County Coordinator” award at the Georgia Association of County agricultural agents Annual meeting and professional improvement conference in Statesboro, Ga.
I’m here with District Ag Program development Coordinator, Scott Utley. And on the right is my boss, District Director over 41 counties, Dr. Laura Perry Johnson. I appreciate them surprising me with this award. We just found out that Dr. Johnson has been chosen to lead this UGA Extension organization and we will miss her in this corner of the state but I know she will lead us well, statewide. Here’s an article about that, Johnson to head UGA Extension. 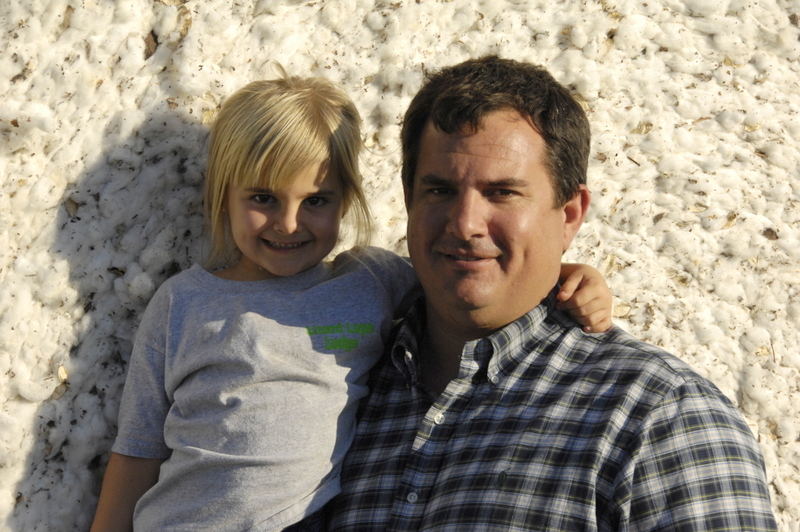 Here’s a very informative Cotton Marketing News by Dr. Don Shurley, UGA Ag Economist. 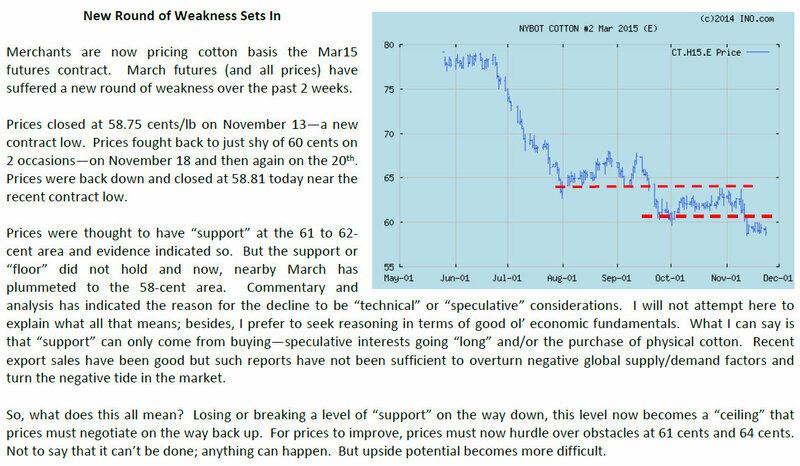 We are getting more questions about cotton prices for the 2015 crop. 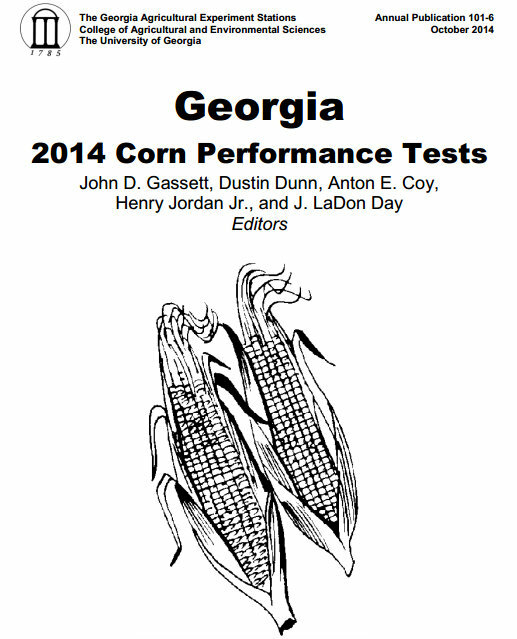 Dr. Don Shurley, UGA Ag Economist says, “Prices will improve when stocks and supply and demand get in closer balance. 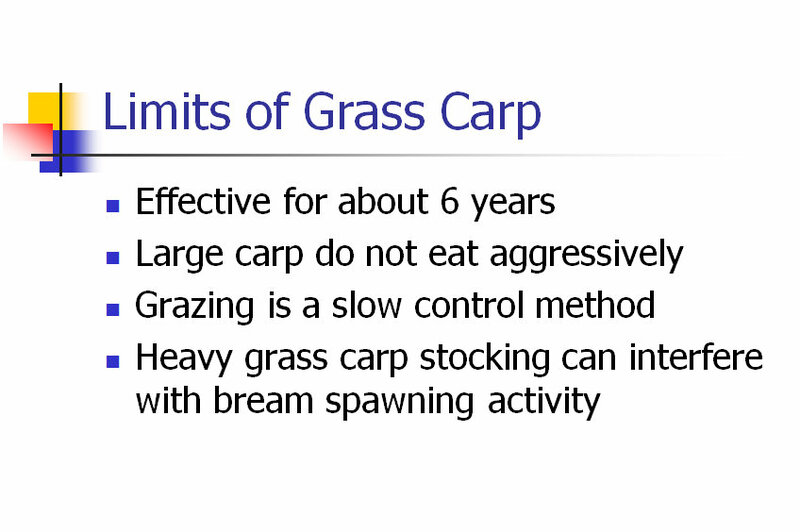 This requires a reduction in acreage and production due to low prices and/or improved demand also due to low prices. Prices will not stay at these levels very long—because the supply side will retract and this, assuming demand remains solid or improves, should eventually pull prices back up. Here’s a link to the full update. 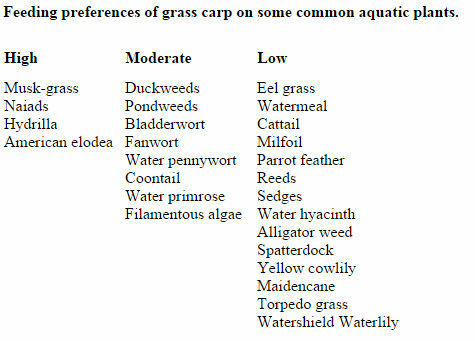 If you have pond weeds, a good way to help control them is to stock Grass Carp in your pond. They don’t like all weeds but they do a pretty good job on a lot of weeds. 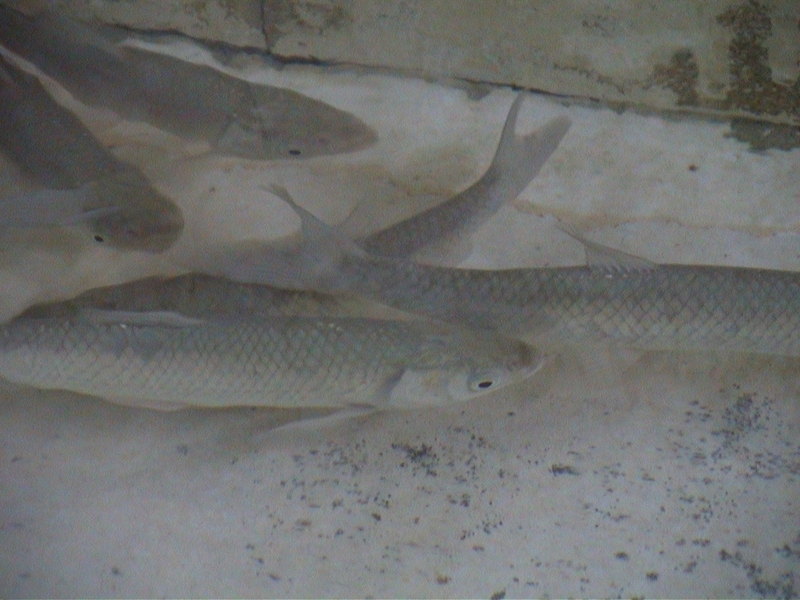 Here’s a link to a good UGA publication concerning Grass Carp. 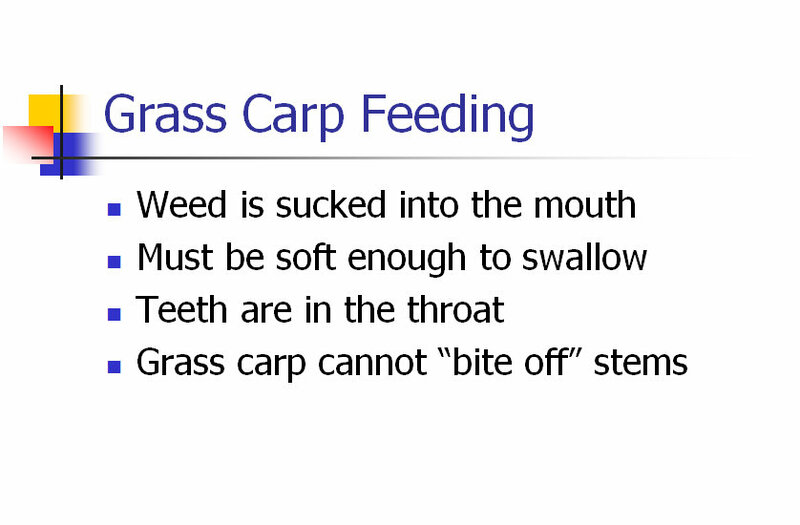 Here are some slides and photos provided by Dr. Burtle. 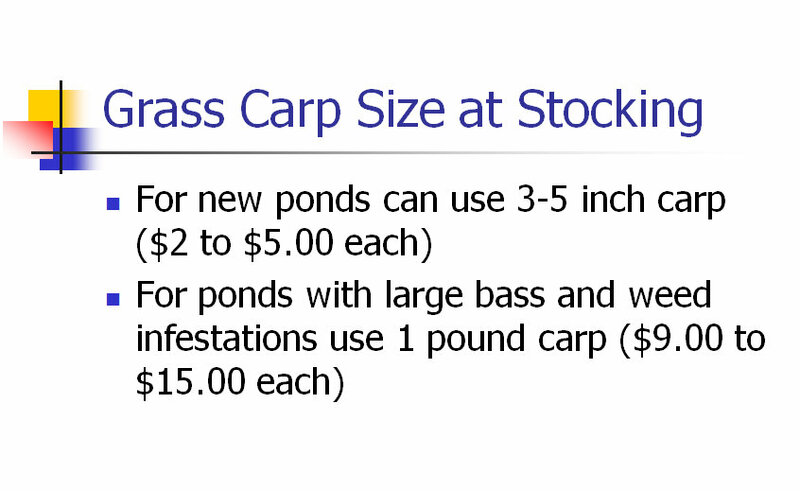 These carp weigh about one pound and are what we mainly want to go with when putting them into a pond that already has fish in it. 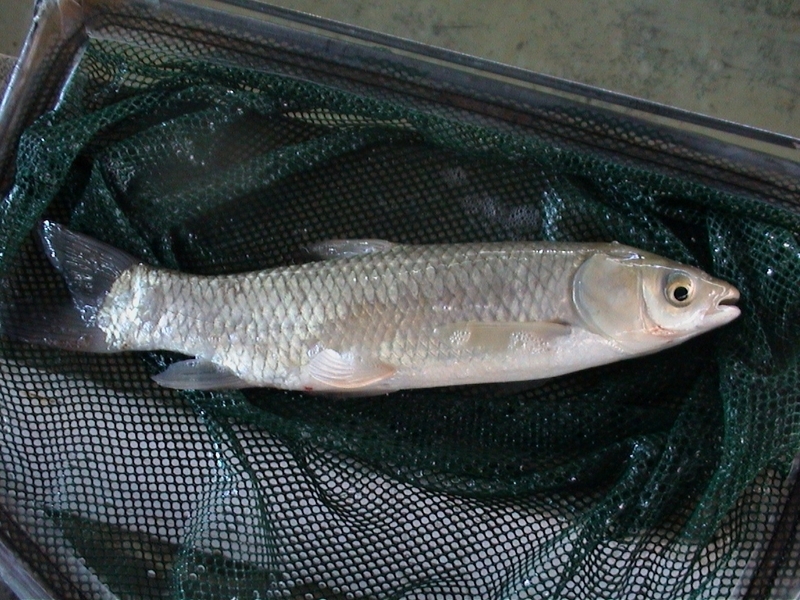 If we put small fish in then they will often be eaten by bass in the pond.